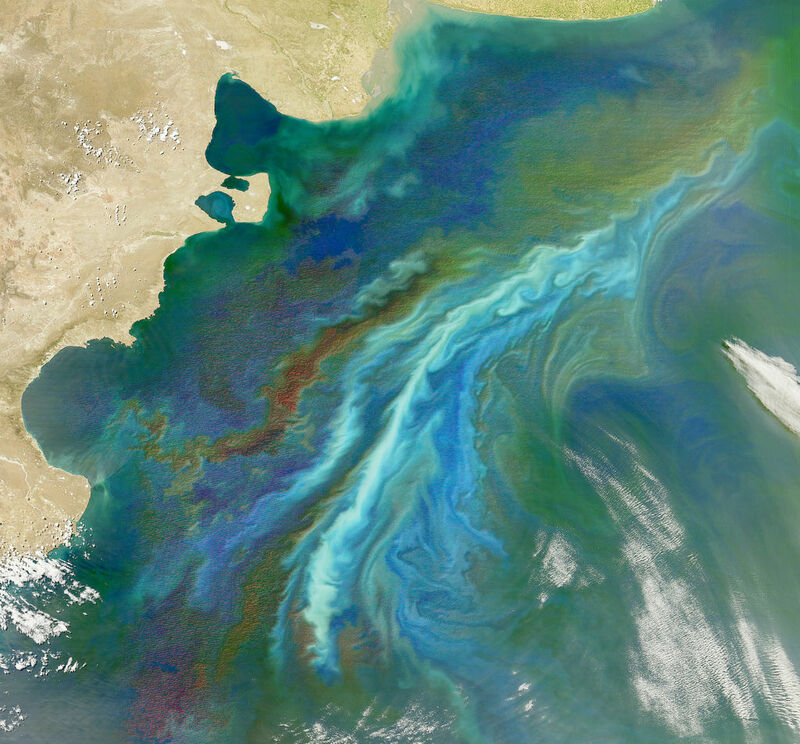 To discover what gives clouds above the Southern Ocean their brightness, scientists took a close look at tiny drifting organisms in the sea below. Nobody knows what our skies looked like before fossil fuel burning began. Today, about half the cloud droplets in Northern Hemisphere skies formed around particles of pollution. Cloudy skies help regulate Earth’s climate, but the answers to many fundamental questions about cloud formation remain hazy. New research suggests plankton play a significant role by producing airborne gases and organic matter to seed cloud droplets, which lead to brighter clouds that reflect more sunlight. Although remote, the oceans in the study area between 35 and 55 degrees south are an important region for Earth’s climate. The findings show that averaged over a year, the increased brightness reflects about 4 watts of solar energy per square meter. “Life in the ocean has a big effect on clouds,” says coauthor Dennis Hartmann, professor of atmospheric sciences. “This idea has been floating out there as a hypothesis, but there hasn’t been much evidence,” says cloud expert Robert Wood, professor of atmospheric sciences. The scientists began the research in 2014 looking at NASA satellite data for clouds over the parts of the Southern Ocean that are not covered in sea ice and have year-round satellite data. The space agency launched the first Moderate Resolution Imaging Spectroradiometer, or MODIS, instrument in 1999 to measure the cloud droplet size for all Earth’s skies. Using the NASA satellite data, researchers showed that Southern Ocean clouds are composed of smaller droplets in the summertime. But that doesn’t make sense, since the stormy seas calm down in summer and generate less sea spray to create airborne salts. The new study, published online in the journal Science Advances, looked more closely at what else might be making the clouds more reflective. Co-lead author Susannah Burrows, a scientist at the Pacific Northwest National Lab in Richland, Washington, used an ocean biology model to see whether biological matter could be responsible. The second way is directly through organic matter that collects at the water’s surface, forming a bubbly scum that can get whipped up and lofted into the air as tiny particles of dead plant and animal material. Researchers from University of Leeds, Pacific Northwest National Laboratory, and Los Alamos National Laboratory contributed to the study. NASA, the US Department of Energy, and a graduate fellowship from the Air Force Office of Scientific Research funded the work.